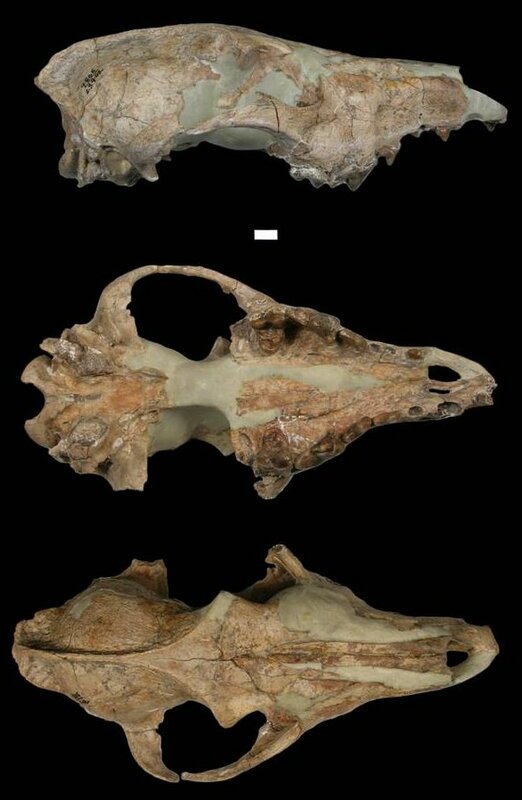 The Canis edwardii (also known as Edward's wolf) is an extinct species of wolf that lived from 4.9 million years ago to 300,000 years ago alongside the Canis armbrusteri, Canis lepophagus and the Canis dirus. It was the first clearly recognizable wolf in North America. Specimens have been found all across the Southern United States. It has been estimated to have weighed from 35 to 77 pounds. Mammalian paleontologist Charles Gazin first recognized it as a seprerate species of wolf in 1942. Canis edwardii is most recently believed to have evolved into the Canis armbrusteri rather than the Canis rufus. 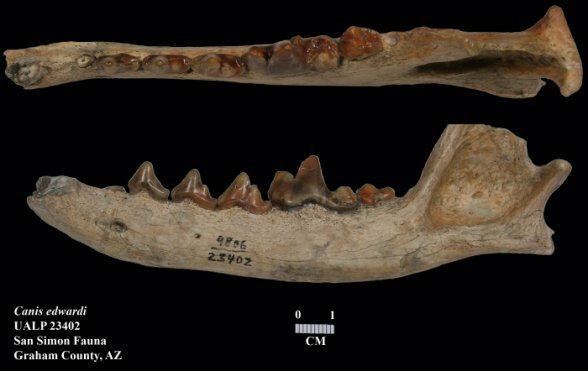 Below are collections of Canis edwardii jaws/teeth and skulls found in Arizona.